Skoda Yeti Outdoor Performance, Engine, Ride, Handling | What Car? 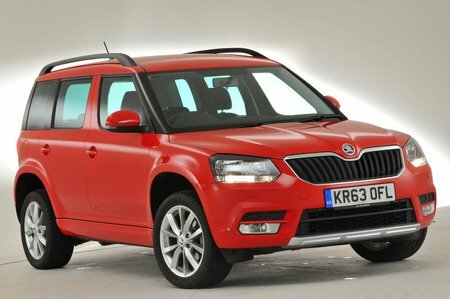 Front-wheel-drive Skoda Yetis are offered with a choice of two turbocharged engines. The 1.2 TSI petrol is the cheapest option, but it revs smoothly and has enough performance for most buyers. Many company car choosers will want to pick the 2.0-litre diesel, though; it has only 108bhp but there’s plenty of low-down grunt for relaxed progress. Four-wheel-drive Yetis get the same diesel engine or a more powerful version with 148bhp. There’s also a four-wheel-drive petrol edition, equipped with a 148bhp 1.4-litre turbocharged unit. That stronger diesel engine is powerful and copes easily with B-road overtaking, but it is quite loud at most speeds, only settling down when cruising in sixth on the motorway. Despite these other options, it’s hard to look beyond the lower-powered diesel or the 1.2 petrol, since they both have enough power. The standard gearboxes are a five-speed manual on the front-wheel-drive diesel or a six-speed manual on the 1.2 and 1.4 petrols and the four-wheel-drive diesels. 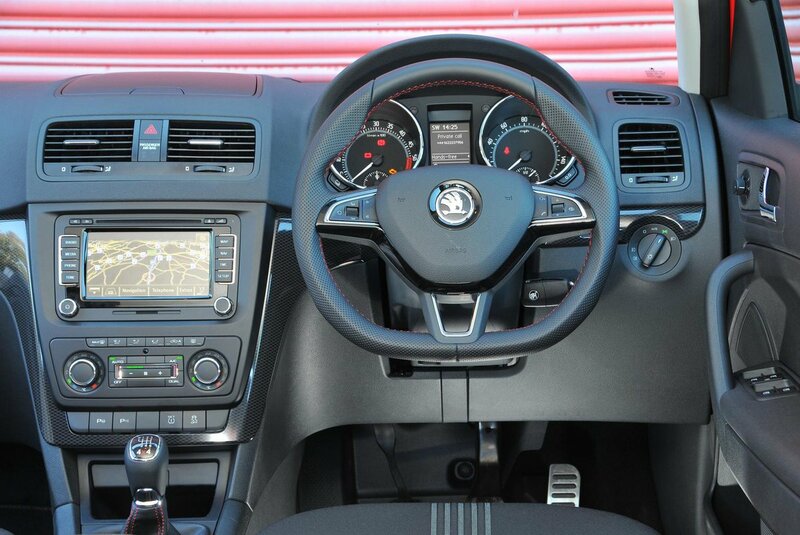 You can get a six-speed dual-clutch DSG automatic on the high-powered four-wheel-drive diesel, and a seven-speed version of the same gearbox on the front-wheel-drive 1.2 petrol. The Yeti's chassis is based on fairly old technology, and it shows when it comes to ride quality. Some cars are jittery at low speeds but comfortable once you're cruising on the motorway; others are wallowy around town but fidgety once you're on the open road. The Yeti manages to be the worst of both these scenarios, because it thumps over urban potholes and then jiggles along once you're up to higher speeds. The Yeti's slightly firm suspension set-up helps when it comes to handling, for this is a small SUV that is perfectly happy being flung along a B-road. The body resists lean through corners and the direct steering is quick to respond to inputs. You may be surprised at the off-road ability of the four-wheel-drive Yeti. It has a solid enough transmission set-up and lots of electronic aids that help it to keep going in the slippery stuff, and it offers lots of grip through the corners, too. Even if you choose one of the Yeti's quieter engines, you're unlikely to rave about refinement on the move; that's because as soon as you get up to speed your progress will be accompanied by a fair amount of wind and road noise. The 1.2 petrol is a refined enough motor and it revs smoothly. However, the diesel engines disappoint, especially the stronger 2.0-litre variant, because they're boomy and cause vibrations to enter the cabin via the pedals and gearlever.